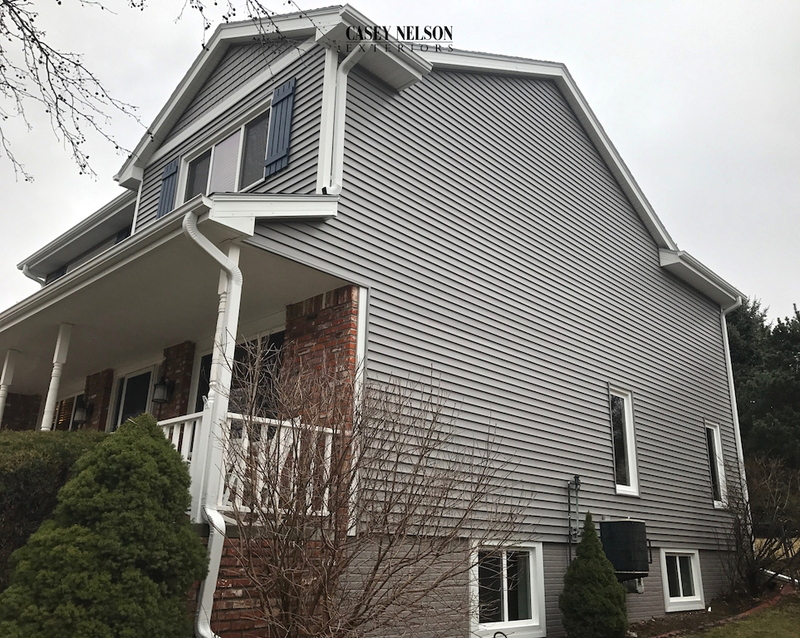 Casey Nelson Exteriors has been certified as a Mastic Elite Contractor by Mastic Home Exteriors, one of the nation’s leading manufactures and suppliers of high quality siding materials. Of the thousands of home contractors across the United State, less than 400 companies have received this ho0nor. Stringent criteria had to be obtained for us to meet the qualifications to achieve this status including having our personnel certified by the Vinyl Siding Institutes as well as years of quality home improvement experience and customer satisfaction. What does this mean for you? 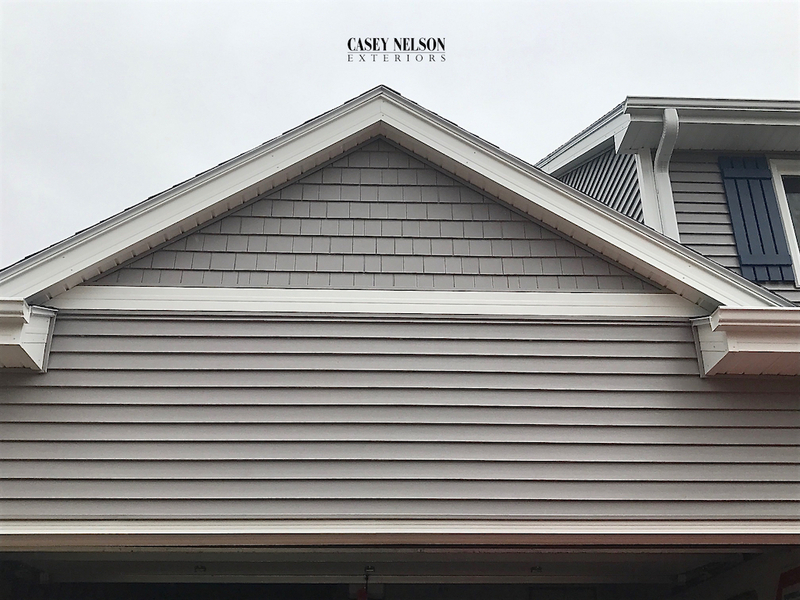 As a Mastic Elite Contractor, Casey Nelson Exteriors can offer our customers additional benefits when they purchase the complete Mastic Elite siding system in Lincoln and Omaha, NE including Mastic’s industry-leading warranty program. It is one more way that we are delivering superior service to our Nebraska vinyl siding customers. This beautiful home features Mastic’s Quest Vinyl Siding in D4 Harbor Grey. 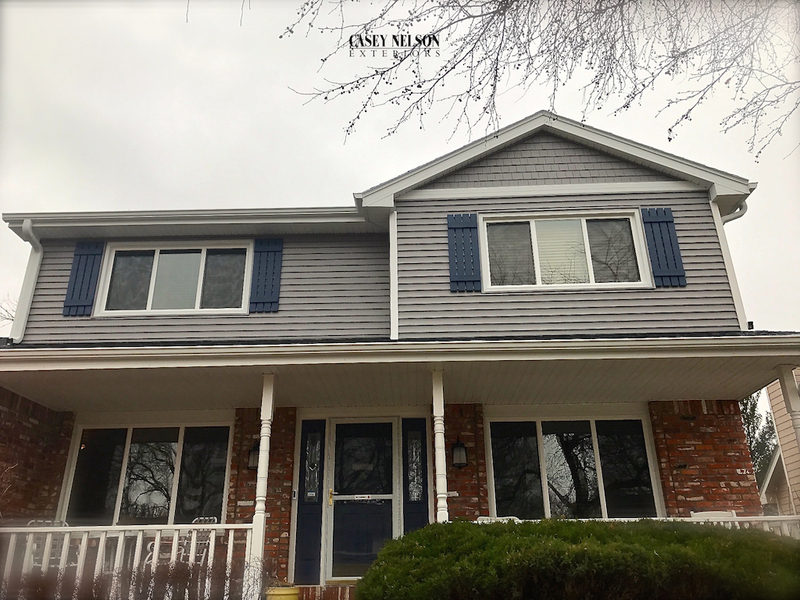 White fascia, soffit, corner posts, and porch ceiling accessories; Georgetown Blue shutters and 5” vinyl Harbor Grey shakes turn this home into a community show piece! Add Amerimax windows and a roofing system by IKO in Charcoal Grey to complete the renovation. 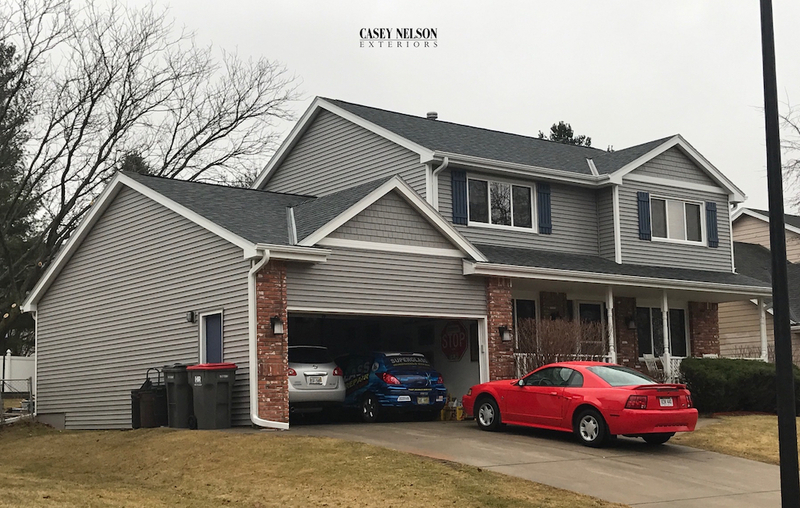 This entry was posted in Recent Projects and tagged Siding Lincoln, Siding Omaha NE, Vinyl Siding Contractor Lincoln NE on February 22, 2017 by Casey Nelson Exteriors.